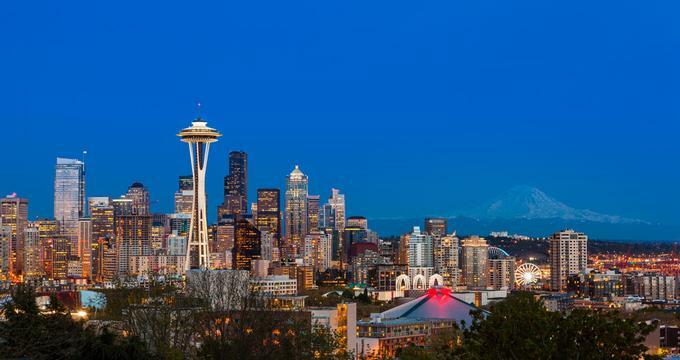 Plan a trip to Seattle for a weekend of great food, unique attractions and romantic views. Regardless of your taste, the city’s restaurants are famous for their amazing cuisine and welcoming atmosphere. Choose from fresh seafood, fantastic sandwiches, creative farm-to-table fare and unforgettable desserts. Whether you are hungry for Mediterranean, Asian, Hawaiian, French, Italian, Japanese or New American cuisine, here are the best restaurants in Seattle. 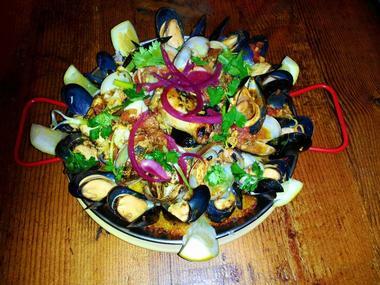 RockCreek Seafood & Spirits is a seafood-focused restaurant and bar located in the Fremont neighborhood of Seattle. Open daily for dinner and weekend brunch, RockCreek has a seasonally changing menu that features sustainably sourced seafood around the globe. The restaurant also uses locally sourced products from the Northwest, including crab, oysters, and mussels. Tropical fish like Hawaiian Ono and Kona Kampachi are also on the menu, as well as East Coast staples like Striped Bass. 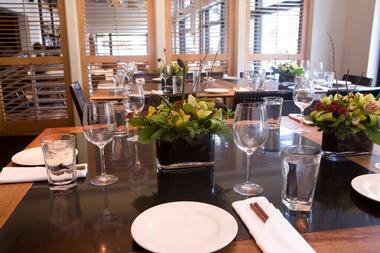 RockCreek Seafood & Spirits is one of the best restaurants in Seattle for couples. The spacious eatery is housed in a double-story fishing lodge, with a large central dining area filled with hand-crafted tables, a stylish bar, a lovely open-air patio, and an upstairs loft for private dining. 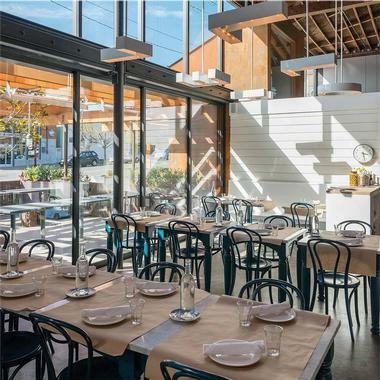 Westward & Little Gull on North Lake Union serves a Mediterranean menu for brunch and dinner in a stunning location with a lakeside view. Executive Chef Zoi Antonitsas balances Mediterranean and Northwest flavors, and many of his dishes are prepared in a wood-burning oven. The approach of those who run this water-inspired restaurant is natural and casual, with a focus on fresh ingredients and high-quality produce. 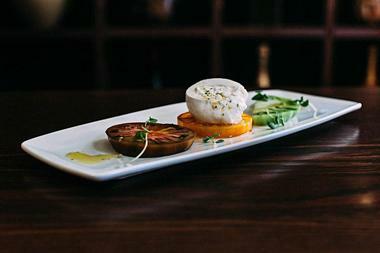 If you are looking for unique romantic restaurants in Seattle to celebrate a special occasion, Westward & Little Gull is a great place to visit. Westward’s menu includes nibbles, vegetables, fruit, fish, seafood, meat, and poultry. And with sweets such as the Theo chocolate mousse or the Butterscotch pot de crème, you definitely won’t want to skip dessert. Joule is a Korean-fusion steakhouse that serves Northwest-Asian cuisine in a sophisticated and refined setting. Home to James Beard-nominated chefs and celebrated husband and wife cooking team Rachel Yang and Seif Chirchi, Joule presents fusion-inspired meat dishes and creative, shareable sides for lunch and dinner. Joule is also open for brunch, and has become popular for all-time favorites such as French toast and grits. Highlighting Korea’s love of beef, starters like steak tartare and bone marrow are followed by a variety of steak cuts served with eclectic sides such as truffled pine nuts and sorrel. Joule is also known for its wine dinners, which allow guests to enjoy an intimate evening of dining and drinking, with a focus on the unique northwestern wine list. With three locations to choose from, Marination serves delectable Hawaiian-Korean cuisine that has captured the hearts of locals and visitors alike. Serving delicious fare from Marination Station, Marination ma kai, or the mobile truck called Big Blue, this modern eatery offers street food made from scratch with an Asian flair for breakfast, lunch, and dinner every day. Enjoy spicy pork torta, pork sliders, and fresh salads overlooking the sea at Marination ma kai or grab a packed taco from the mobile truck when you’re on the run. Don’t forget to try the shave ice – a typical Hawaiian treat which is the perfect ending to your meal. Tat's Deli offers visitors an authentic East Coast deli experience in the heart of Seattle. From the extensive menu of delicious eat-in, take-out, and delivery meals to the friendly and convivial service and bustling atmosphere, this fantastic little deli doesn’t disappoint. Located in Pioneer Square, Tat’s serves an extensive breakfast and lunch menu consisting of classic deli favorites such as Philly steaks, hoagies, hot subs and unique sandwiches, soups, salads, and sides. Tat’s also has a mobile food truck that can be found at popular lunch spots throughout town. Tat’s caters special events and parties as well. Located in the historic Post Alley of the Pike Place Market, Café Campagne is one of Seattle’s foremost classic French restaurants. Known for its traditional French cuisine and wine and elegant and sophisticated atmosphere, Café Campagne evokes all the aspects of a classic Parisian brasserie, from the beautiful décor to the mouthwatering menu. Dishes are made with only the finest locally and internationally sourced ingredients, many of which are handcrafted in-house. Examples include the charcuterie, duck confit, smoked salmon, and preserved items. Guests can find the perfect accompaniment to every meal,as Café Campagne has an excellent selection of wines that are handpicked by the café’s expert wine director. Matt’s in the Market is a warm and welcoming restaurant in the heart of Pike’s Place Market. Dan Bugge, who worked as a fishmonger in the market for many years, eventually fulfilled his lifelong dream of becoming the owner of this popular eatery. The menu consists of delicious dishes made with local ingredients from the nearby market. Using a variety of fresh seasonal products from the market, Executive Chef Shane Ryan creates a range of dishes that have diners returning on a regular basis. Offering spectacular views of Elliott Bay and the market's famous clock through beautiful arched windows, Matt's intimate setting is the ideal place for a business lunch or romantic dinner for two. More vacation ideas: 25 Best Things to Do in Seattle. True to its name, Terra Plata (meaning "earth-to-plate") is an inviting restaurant in the famous Melrose Market that serves a tempting menu of farm-to-table fare. Inspired by seasonal products from local growers and artisan producers, Chef Tamara Murphy’s passion for cuisine shines in her creative and delicious plates, such as the Yakima asparagus with fried duck egg or the water buffalo burger with taleggio, pickles, and arugula. Take your lunch in the beautiful rooftop dining area overlooking the edible garden, and enjoy a selection of seasonally-inspired handcrafted cocktails, locally brewed draft beer, or excellent wines by the glass. Inspired by the beauty and culture of South-East Asia, Wild Ginger has been serving delectable Pan-Asian cuisine to diners for over a quarter century. Owned by Rick and Ann Yoder, Wild Ginger is one of Seattle’s most celebrated restaurants, bringing a taste of Asia to both locals and visitors. Dishes like young mountain lamb marinated in Indonesian soy sauce and Cambodian-style Kom Pot short ribs with turmeric, galangal, and honey are sure to delight. Wild Ginger offers a lunch and dinner menu as well as a special vegan menu, and selections from each one of them can be ordered to eat-in or take away, and an impressive cocktail, wine, and beverage list provides the perfect accompaniment to the meal. Portage Bay Café is one of Seattle’s favorite places to enjoy a hearty breakfast, lazy brunch, languid lunch, or intimate dinner for two. 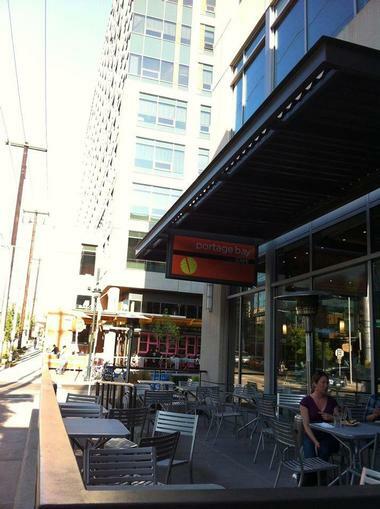 With four locations across the city, Portage Bay Café boasts an extensive menu of delicious made-to-order meals, using only the freshest local ingredients sourced from surrounding farms and producers. From pancakes, eggs, and organic granola for breakfast to crisp garden salads, homemade soup, and jam-packed sandwiches, shwarmas, and burgers for lunch, Portage Bay Café has something for everyone. The café also provides a cold lunch delivery service and can be booked for private events in the evenings. 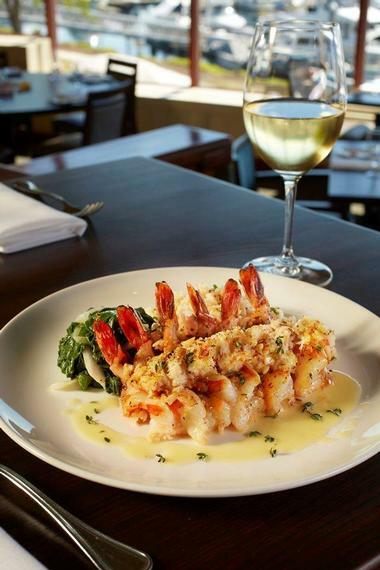 Located in the Elliot Bay Marina with sweeping views over the bay, the Palisade is an elegant restaurant that serves Pacific North-West seafood in an unrivaled setting. 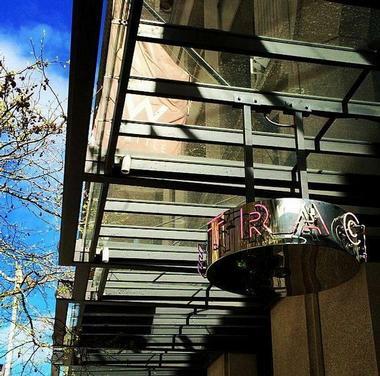 This classic landmark restaurant has an enticing menu that features a variety of culinary delights, ranging from its famous Seattle City View Brunch to fresh salads, soups and chowders, succulent seafood, and prime-cut steaks. A chef’s early prix-fixe menu is also available and has three courses to choose from while the stylish bar serves an impressive range of handcrafted cocktails, spirits, fine wines, and local brews. Enjoy a laid-back lunch of freshly caught seafood and crisp salads against a backdrop of breathtaking marina views. Owned by celebrated husband and wife cooking team Rachel Yang and Seif Chirchi (the founders of Joule), Revel is a fairly new yet already celebrated restaurant that serves traditional Korean dishes prepared using classic French techniques. Housed in a modern industrially designed space with a long butcher-block table, wood banquettes, and a stylish bar, Revel is a trendy restaurant with a menu that is just as slick. Think short rib and scallion dumplings, lemongrass beef and cilantro noodles, and pork belly and bean sprout pancakes – and don’t forget dessert. The Szechuan peppercorn ice cream is not to be missed. Enjoy colorful cocktails and soju, as well as a variety of fine wines and craft beer from Quoin, Revel’s sister bar. 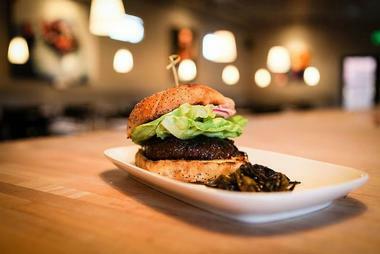 The Whale Wins on Stone Way North serves lunch and dinner with a menu that includes American and European dishes. Renee Erickson, an award-winning chef inspired by some of her favorite places in England and southern Europe, opened The Whale Wins in 2012 with her partners Chad Dale and Jeremy Price. The Whale Wins has a cottage-like interior and a homey wood-fired oven, creating a casual ambience. This warm neighborhood restaurant has a vegetable focused menu that includes pantry, small plates, main plates and sweets. Guests can choose to be seated in the dining room, at the bar, or on the garden patio. Sushi Kappo Tamura on Eastlake Ave is a Japanese restaurant with an open kitchen that serves cocktails and sushi in a contemporary and elegant space. Executive Chef Taichi Kitamura, who has always been fascinated with aquatic life, grew up in Kyoto. At Sushi Kappo Tamura, the chef is always happy to interact with his guests and show them how to debone a whole fish. The menu changes daily and the chef uses fresh, seasonal, and locally sourced ingredients in his creations. 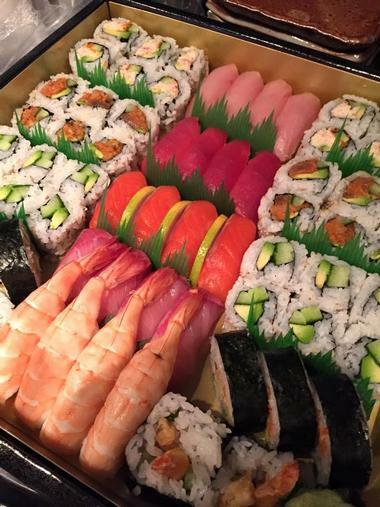 The restaurant also has a first-class Sushi bar with fine delicacies such as Alaskan king crab, squid, salmon and wild prawns. 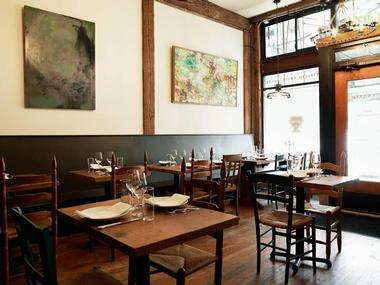 Spinasse is a rustically styled restaurant on 14th Ave that opened in 2008. For dinner, they serve traditional cuisine from Northern Italy’s Piedmont region. Chef Stuart Lane prepares refined, simple dishes using special methods from Piedmont and incorporates Pacific Northwest products. 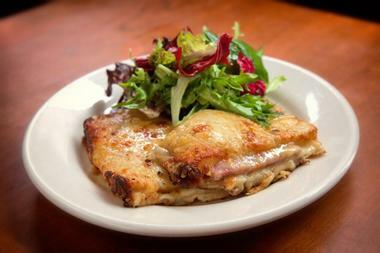 Pastas are handmade, and desserts and dishes are seasonally inspired. Spinasse is an intimate, cozy restaurant with an open kitchen. The menu includes various delights such as perfectly cooked pastas, ravioli, and chicken. For dessert, visitors may try Panna cotta, Torta di cammomila, or ZuppaInglese al limone. 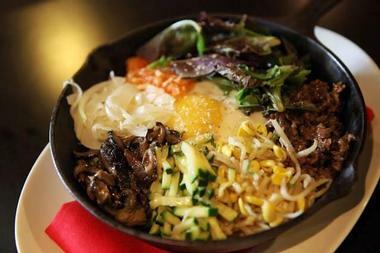 Chan Seattle on Pine St. serves modern and classic Korean dishes along with Asian-inspired drinks. 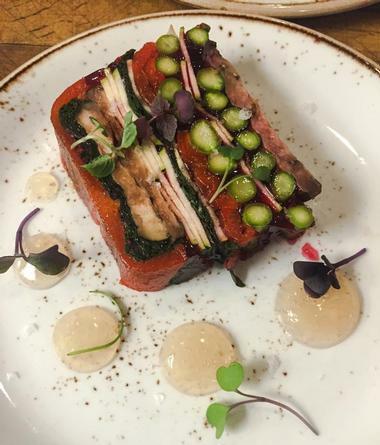 Chef Heong-Soon Park always delivers the very best of Korean cuisine, taking the dining experience to a whole new level with seasonal, fresh, locally grown ingredients and bold flavors. Korean drinks and food, classic and contemporary, meet Western cooking methods in this powerful fusion. This cozy restaurant is located in a popular part of town and serves great food at reasonable prices. 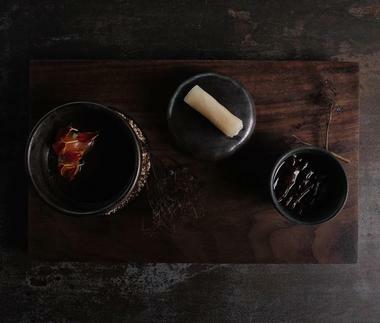 Chan’s menu includes small dishes, seasonal dishes, seafood, meat and poultry, flavorful vegetables, and delicious desserts such as rice beer ice cream, ginger crème brûlée and pumpkin candy power. Miller’s Guild found its home at the historic Hotel Max on Stewart Street. The restaurant serves New American fare and is open for breakfast, lunch, dinner and brunch. Chef Jason Wilson created a menu that includes traditionally flavored baked goods, butchery, and dry-aged beef. This warm restaurant is built around a wood-fired grill, and local masons, metalworkers, and carpenters designed and constructed almost all of the features and furnishings. Hotel Max dates back to 1926 when it used to house workers and craftsmen from all over the world. The chef’s concept of wood-fired cooking was inspired by the hotels’ history. Like true Italians, those at Seattle’s Café Torino take their coffee seriously. 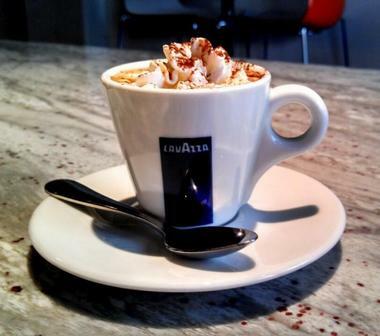 First, they use only Lavazza beans and make them into any version of coffee drink you can think of: cappuccinos, macchiato with cocoa called Torinese, Becerin with chocolate, coffee, and cream, and of course a standard drip coffee, light or dark roast. This modern, sleek cafe also serves Portland Steve Smith Tea for those who are not java addicts. They also serve excellent sandwiches with imported Italian meats such as Parma ham, pistachio-studded Mortadella and Genoa Salame, and some superb in-house made biscotti and cookies. You can have a cold or grilled sandwich made with their Udi gluten-free bread. Their signature cookies are made with polenta flour and can come with a delicious ice cream filling.